How is your Spanish these days? Do you know it well enough to introduce yourself, or well enough to read the newspaper? After all, over 400 million people in the world speak Spanish. 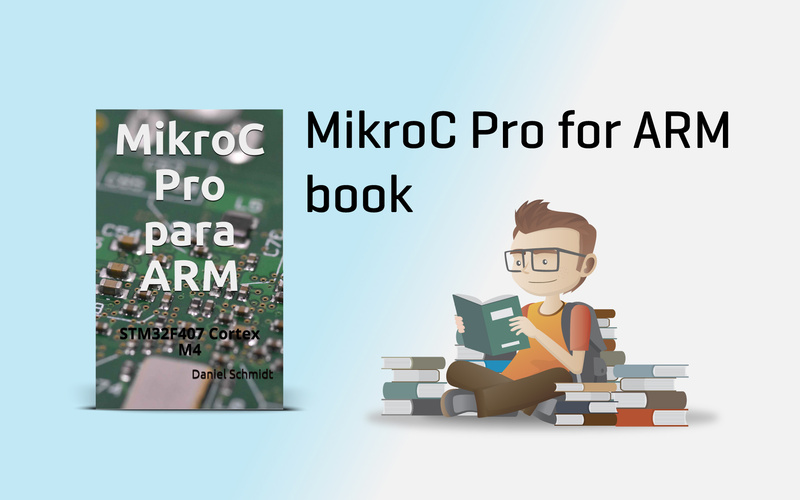 If you do, you'll be glad to know that there is a book on programming in mikroC PRO for ARM you can read. Adichip, our distributors from Buenos Aires were kind enough to let us know about this. And if you are not so confident with your Spanish, perhaps this is the best chance to start practicing. "MikroC Pro para ARM: STM32F407 Cortex M4" by Daniel Schmidt will lead you through a series of examples the STM32F407vg microcontroller. The book begins with a nice introduction to the ARM architecture, and continues with LED blinking examples, and creating user interfaces with the help of our Visual TFT software. You can find the e-book edition on Amazon. Browse through the available preview of the book, and get the better sense of what it will teach you. For more information about our mikroC PRO ARM compiler, see the product page.